The following organizations make use of the data-sets published by MetaBrainz and are supporting us financially or through some other reciprocal agreement. There are also organizations that make use of our data that have explicitly declined to support us. There may also be other organizations making use of our data that we don't know about yet. If you know of a company using our data, please contact us. If you want to sign your company up as a supporter, go to our sign up page. For larger companies and mythical situations that require special agreements. For established companies with more than 20 people and a public product. Naim uses the MusicBrainz data to look up audio CD metadata in its players. For mid-size start-ups and established companies with a public product. For popular mobile apps and for small to mid-size start-ups with public products. The Ticket Fairy uses MusicBrainz to power artist content on their ticket pages. SWR uses MusicBrainz IDs in their Visual Radio service. 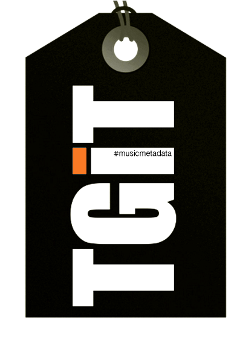 TGiT uses MusicBrainz through an API to allow music creators to declare new recordings. Metadatics app uses MusicBrainz for looking up metadata for audio files. Qroom uses MusicBrainz data to fulfill and organize their music catalog. Wide Angle Software uses MusicBrainz data for Looking up track data for its music apps. Crabhands uses MusicBrainz data to provide users with details of new and upcoming releases by their favourite artists. Musicinfo uses MusicBrainz's data to augment it own data for use in their API for B2B clients. Chordify uses the MusicBrainz metadata to improve the data displayed to their users. Whatslively uses MusicBrainz' comprehensive artist and recording data to help provide accurate and personalized live music events to our customers. Wolfram|Alpha uses MusicBrainz data to answer natural-language queries about music acts, albums, and songs. AkerBis uses MusicBrainz data in the MyRadio project to discover music data and to link to external services. Bryston uses MusicBrainz to enhance the user experience within their high end audio products. Fanart.tv uses MusicBrainz IDs as its primary reference source for artists and albums. Entertainment Intelligence uses MusicBrainz to fill in the blanks on artists profiles when they get added to their catalogue system. One Music API uses MusicBrainz data with data from other sources, matching musical entities and allowing multiple forms of query. Molindo maps their customer's data to MusicBrainz IDs and then uses the MusicBrainz data to enhance/enrich their customer's data. The Open Broadcast Platform uses MusicBrainz metadata to keep its music library organized and to help radio editors completing music profiles. 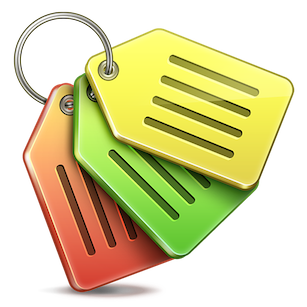 Murfie uses MusicBrainz to associate metadata with their members' collections. BMAT uses MusicBrainz data as part of their broadcast monitoring services. For universities and non-profits conducting research, or authors of open-source software using our data.